A Shia who travelled to Makkah and was impressed by Sunni Muslims there, calls a Shia TV Channel and exposes the lies of Shia Ayatolahs and other propaganda Machines against other Muslims whom they call ‘Wahabi’. 1,600 pages of takfeer of Sahaba – explaining the Shiite belief about Sahaba (Companions) of the Messenger of Allah (saw), all from Shiite sources. Shiism is a Takfiri/Ghali sect and not from the أُمَّةً وَسَطً Umat Wasat. Click here to read [Arabic]. How to invite Shiites to Tawheed (Monotheism)? Simple question and answer on Shirkul Dua specially prepared for open hearted, open minded shias…may they be guided to true Tawheed. Q1: I hear a lot shias calling or invoking upon Ali, Hussein with words like Ya Ali Madad, is this wrong? Yes, this is wrong as it is not allowed in Islam to call upon anyone besides Allah. We have no other choice but to invoke Allah BECAUSE Allah COMMANDED and not requested us to invoke Him alone. Anything that comes under command then it automatically becomes an act of worship. Q2: Are you sure that Allah (swt) Commanded us to invoke Him only? All these ayats clearly Command us to invoke Allah, so invocation is must upon every believer. Q3: Suppose I don’t invoke Him or invoke anyone besides Him, will I be punished? Q4: But I was talking about invocation and not worship. Invocation is not different from worship. I have already told you that anything that comes under command equals to worship. And invocation is worship, nay but the best forms of worship. Q5: Can you provide clear evidence from Qur’an on what you are saying? In this aya Allah calls invocation as worship and those who do not invoke Him are charged with arrogance. Q6: But the aya might have some other hidden meanings as shia scholars say that Qur’an can only be understood by Imams. 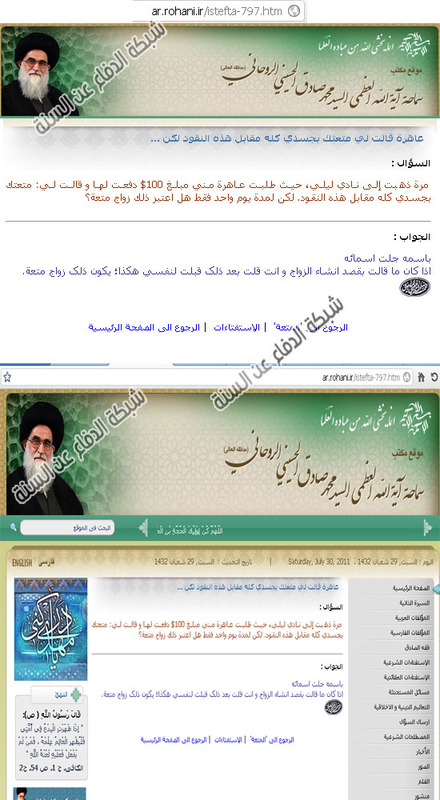 So can you provide clear ahadeeths from shia source, like saying of Imams for example? Yes there are many ahadeeths of shia Imams written in their most revered ahadeeths book affirming that invocation is worship. So whoever hopes for meeting with Allah should ward off shirk in dua or worship. And Lastly I would like to remind that Shirk is unforgiveable sin. Wa Salam Ala men it-taba3 alhuda. Number of Prophetic Ahadeeth in Shiite books? How many narrations of the Prophet (saw) are in the books of the Shiites, in their four main book of Hadith (کتب اربعه)? 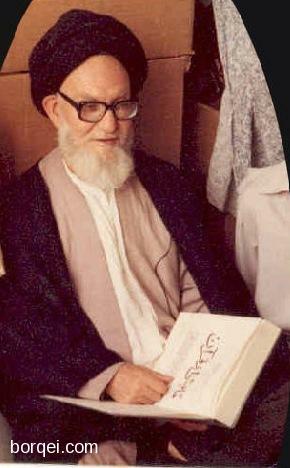 There are 44,000 Ahadeeth in the four main books of the Shia out of which 1.5% (650) of them are prophetic. Even the narrations of Ali (ra) are few hundreds only and majority of narrations are from al-baqir (rah) and Jafar Sadiq (rah) (of course they are lies and fabrications). Moreover, only a smaller fraction of that 1.5% attributed to Prophet Muhammad (saw) can be considered authentic according to Shia hadith sciences. SubhanAllah! Indeed we are the people of Sonnah since we have his Sonnah but shiites don’t. The Better Authority on Rijal – Allah or Shia Scholars? I was listening to an audio recording of a lesson by Sa’ad Al-Shnifa and he brought my attention to something I’ve overlooked quite a few times during my studies in Shia rijal. There is a rule, that some shia scholars have used in order to strengthen narrators that are originally unknown. For those that are familiar with Al-Saduq, and some of his books, you’ll notice that he often makes taradhee of his shaikhs. For example, he will say, Mohammed bin Musa bin Al-Mutawakil (radhee Allahu anh), and some Shia hadithists see this as a form of strengthening. Rough translation: There is no doubt that a lot of taradhee by one of our major scholars upon one of the shaikhs is evidence that he is a thiqa. علي بن عبد الله الوراق : من الذين أكثر الرواية عنهم الصدوق (قدس سره) ، كما قد أسرف في الترضي والترحم عليه ، وهذا كاف في التوثيق وإثبات العدالة . Rough translation: Ali bin Abdullah Al-Warraq: One of the that Al-Saduq narrated a lot from, and he made tarahum and taradhee of him a lot, and this is sufficient to accept him as trustworthy. والترحم من الثقة ظاهر في التوثيق ، فضلا عن الاعتبار ، كما يرشد إليه نقل الترحم من الصادق ( عليه السلام ) في ترجمة جابر بن يزيد بل عد الرضيلة والرحملة من الألفاظ الظاهرة في التوثيق . Rough translation: …but even that taradhee and tarahum are clear statements for tawtheeq. وبناء على هذا فيمكن التفصيل بين هذه العبائر، فإذا صدر الترضّي من الإمام عليه‏السلام فلا شكّ في دلالته على التوثيق، وكذلك الحال في صدوره من الأعلام العارفين بمداليل الالفاظ في حقّ معاصريهم، والظاهر أنّه يعدّ توثيقاً، ولا سيما مع الاكثار منه، فنفس الترضّي علامة على التوثيق، والإكثار منه تأكيد له. So, as we can see, a decent amount of Shia rijal scholars feel this way about taradhee. In short, they will accept the taradhee of Al-Saduq or Al-Mufeed as a form of strengthening. However, what if this taradhee was done by Allah (swt)? 9:100 And the first to lead the way, of the Muhajirin and the Ansar, and those who followed them in goodness – Allah is well pleased with them and they are well pleased with Him, and He hath made ready for them Gardens underneath which rivers flow, wherein they will abide for ever. That is the supreme triumph.